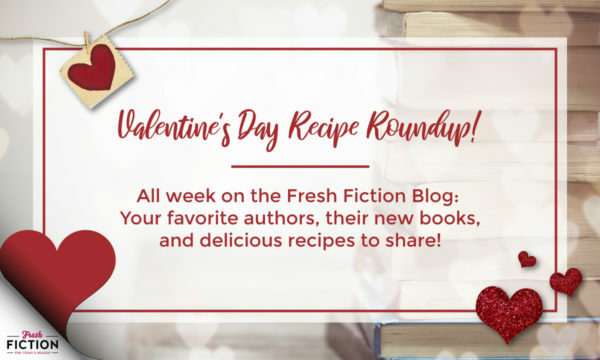 Welcome to the Fresh Fiction Valentine's Day Recipe Roundup! Every day this week, some of our favorite authors will be on the blog chatting about their new books, their main characters, and a recipe for a meal or treat those characters would enjoy this festive week. Today, we have mystery authors from Midnight Ink. Enjoy, and come back tomorrow for more fun! 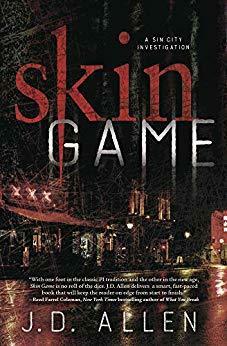 The Sin City Investigations books launched in 2018 with 19 Souls, February 8th, Skin released. Private investigator Jim Bean has worked hard to create his new identity in Las Vegas. Now his life's on cruise control, destination nowhere. He's got clients enough to pay his bills, a cat, and a stash of Scotch. But life's not as static as he'd like. His tragic past collides with a dangerous present when ex-fianc� Erica Floyd walks into his investigation. She's looking for her missing sister. Bean can't refuse her and the clues lead him to human traffickers and one of Vegas' biggest hotel moguls. He's got to face ghosts of his past, his anger of the present, and a brand new enemy to save four women from a fate worse than death. Jim's not a fancy guy. And his choice of food is no exception. When he's not hanging out at the Coffee Girl Diner, he eats out a can. His Cowboy Beans are his go-to. Some coarse black pepper, and fresh garlic. Dump the whole mess in a skillet and heat to a good boil. There ya go. Beans for dinner. They 're great to eat cold out of a plastic container on a long stakeout. No one to mind the gas. And they pair well with a domestic beer. London, England, 1810: A founding member of the Crones, a group of ladies who have gathered to rescue the downtrodden - especially abused scullery maids and young ladies being forced into unwanted marriages - Miss Emmeline St. Germaine is like a caped and masked Regency-era Wonder Woman. She skulks along the dark back alleys of London to affect her rescues, but this time, she also threatens an abuser, Sir Henry Claybourne; if he ever abuses another little scullery maid he'll feel the point of her dagger. Later that night Sir Henry is brutally slaughtered, and London is agog with the news of the late night marauder, the daring Avengeress, as Emmeline is becoming known; did she murder the knight and steal away with the scullery maid and the silver? 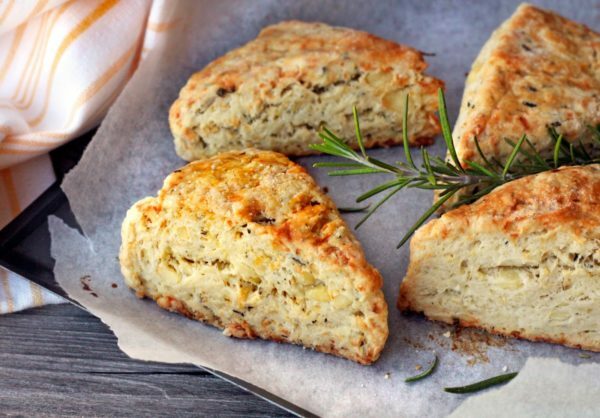 She'll have to investigate and clear her name, but before she does she might enjoy a cup of refreshing tea and delicious Rosemary Cheddar Apple Scones� (though her cook would be hard�pressed to make these, since baking powder, the leavening ingredient, would not be available for another 30 or more years!) Enjoy these with your Valentine's Day tea! Cut the cold butter into small cubes, then cut into the flour using a pastry cutter or your fingers, breaking down the cubes of butter just until the pieces are smaller than a pea. The mixture should resemble coarse crumbles. Stir in the grated cheddar, baking powder, salt, sugar, and rosemary. In a separate bowl combine the shredded apples and the beaten egg. Gently fold this with the flour mixture in a large bowl until the dough just comes together. If it's too dry to do this (it was for me) add a splash of milk or cream. I used 35% cream because� well, why not? Do not overmix. Once the dough comes together, form it into a ball and cover with plastic wrap. Chill for at least 30 minutes (or up to 24 hours). Preheat oven to 375 degrees Fahrenheit. Press out the dough onto a lightly floured surface and form it into a roughly square or rectangular shape about � inch tall. Cut using a sharp cookie cutter or biscuit cutter. I love my antique biscuit cutter because it gives a pretty edge to the scones. Or� you can form it into a circle and cut it into 8 wedges, separate the wedges on a parchment paper lined baking sheet at least 1 inch apart from one another. Bake for approximately 20 minutes, or until tops are golden-brown. Let cool slightly before serving. In my two books A Cold Day in Hell and again in The Murder Book my main character, Lauren Riley, enjoys eating the local cuisine. People don't often think of Buffalo, where my novels take place, as food destinations. Lauren Riley is often accused of being too thin but it's not because there's a shortage of good eats. In fact, the foods we are most associated with are things that can be made quickly and eaten on the run. 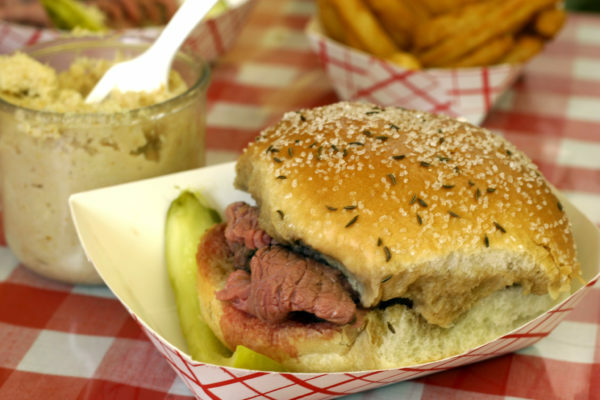 Buffalo, New York is famous for two food items: the chicken wing and beef on weck. While I could share some wing recipes with you, I'd like to introduce the lesser known, but equally delicious, beef on weck. A Buffalo staple, it's also very easy to make, great for taking to parties, and comfort food for cold weather. Weck, in case you were wondering, is short for Kummelweck. It's a salt and caraway seed encrusted roll that makes the sandwich. You might have a bakery near you that has them, but if not, you can do it yourself at home. One and a half pounds of thinly sliced roast beef (We like to load our sandwiches up). A crockpot or slow cooker set to low. Put your beef and au jus in your slow cooker or crockpot. Set it to low. If you are taking this to a party you can turn it up a little when you get there, but this is a sandwich you can enjoy all day long once you make the rolls. Preheat the oven to 175. Put the salt and caraway seeds in a bowl. Mix thoroughly. Dip the tops of Kaiser rolls in the egg wash, then in the salt mixture. Don't be shy, really squish them in there to get maximum salt and seed. Put them on a baking sheet and heat them in the oven for 3-5 minutes (this helps to set the salt mixture on top). Do not overbake the rolls. Take the rolls out, let them cool, and then stack them near the crockpot. Make sure to leave the horseradish sauce nearby! I like to dip the underside of my roll in the au jus, but that's just my preference. "Is that it?" I asked and eyed my best friend, Adele Nakamoto, chic as ever in an ice-blue, Jackie-Kennedy style suit and apron. She set an espresso cup on my glass counter, and I inhaled the rich scent of chocolate. It blended delightfully with the faintly musty smell of the paranormal museum. Photographs of the haunted dead (mostly murderers) stared down at us from the wall. A trio of creepy dolls, their old-fashioned gowns smudged with soot, watched balefully. "Chai-spiced drinking chocolate," she said, impervious to the haunted vibes. "Not hot chocolate. It's drinking chocolate, European style. I already sell chocolate-chai tea in the Fox and Fennel, so I wanted something special for San Benedetto's Wine and Chocolate Days." Adele's tearoom, the Fox and Fennel, was conveniently located next door to my museum. We even shared a secret passage between the two, a cleverly designed bookcase door. Granted, most of the traffic flowed out of my museum and into her tearoom, but my customers got to use the Fox and Fennel bathroom, so it was still a win for the museum. GD, the museum's cat, leapt onto the counter and sniffed the small, white cup. His whiskers twitched. "Try it." Adele shook a finger at the ebony cat. "And I'm talking to Maddie, not to you." I took a sip and closed my eyes. Pure chocolate heaven. This was nothing like the hot chocolate I'd grown up with. It was thick and sinfully rich � as sweet as drinking melted chocolate, but somehow lighter, and with a kick of chai spice. "This is terrible," I said hoarsely. Her eyes widened. "What? What's wrong?" "For Wine and Chocolate Days, I'm bringing a woman to the museum to tell fortunes with hot chocolate. You know, like reading tea leaves, but she'll read the chocolate dregs. Who's going to want to drink regular hot chocolate when you're serving this next door?" She whisked the espresso cup from my hands. "Your chocolate includes a fortune. How is my tearoom supposed to compete with that?" "I think you just did," I said, rueful. Optional: Whipped cream for topping. Combine everything EXCEPT the vanilla extract and chopped chocolate in a saucepan over medium heat. Bring to a simmer. Remove the saucepan from the heat and add the vanilla extract, stirring until combined. Add the chopped chocolate, but don't stir it in! Instead, let it sit in the mixture to melt for three minutes. Then whisk the mixture, combining the chocolate well. Allow the mixture to cool and thicken in the saucepan for 10 more minutes. Whisk again and if desired, add additional sweetener to taste. Serve in espresso mugs or small teacups. Optional: top with whipped cream. PI Jim Bean should walk out that door and let the Vegas bouncer do his worst. That's what an ordinary man would do. But nobody ever accused Jim Bean of being ordinary. Private investigator Jim Bean has worked hard to create his new identity in Vegas. He doesn't have a great life, but it's his. When his ex-fianc�e Erica Floyd walks into one of his investigations looking for her missing sister, the tragic past he wanted to leave behind comes flooding back. Despite serious reservations, Jim agrees to search for Erica's sister. Clues lead him to a human trafficking ring and one of Vegas's most influential mobsters. Unless Jim can face the ghosts of his past, the anger of his present, and a new enemy out for his blood, four women will suffer a fate worse than death. 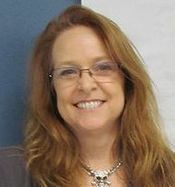 JD Allen attended The Ohio State University and earned a degree in forensic anthropology with a creative writing minor. The shocking murder of Sir Henry Claybourne leaves Regency London shaken and horror-struck. But for genteel spinster Miss Emmeline St. Germaine, the crime slices far too close to home. Just hours before the knight's death she held a dagger to him, threatening him to stay silent as she rescued a scullery maid he had procured for his pleasure. Did the man�or woman�who murdered the knight know of her visit? 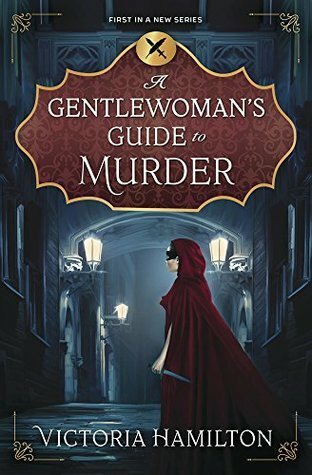 Her secret identity at risk, her reputation and life in jeopardy, Emmeline must solve the crime or face scandalous exposure and ruination, or worse�the hangman's noose�for a crime she did not commit. 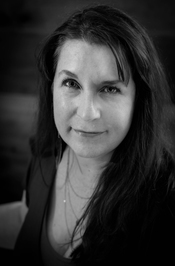 Victoria Hamilton is the national bestselling author of three bestselling series, the Vintage Kitchen Mysteries and Merry Muffin Mysteries as Victoria, and the Teapot Collector Mysteries as Amanda Cooper. 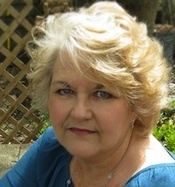 She is also the bestselling author of Regency and historical romance as Donna Lea Simpson. Victoria loves to cook and collects vintage kitchen paraphernalia, teacups and teapots, and almost anything that catches her fancy! She loves to read, especially mystery novels, and enjoys good tea and cheap wine, the company of friends, and has a newfound appreciation for opera. She enjoys crocheting and beading, but a good book can tempt her away from almost anything� except writing! Cold case detective Lauren Riley wakes up in the hospital certain of two things: she was stabbed and left for dead...and the person who did it was a cop. After being brutally stabbed at her desk late one night, Lauren Riley works her way backwards through the haze to piece together who attacked her and why. A mysterious phone message forces her to enlist the help of a retired lieutenant to track down a witness who is desperate not to be found. As she digs into the Buffalo Police Department's hidden past she uncovers a terrible secret, one a fellow officer would kill to protect. 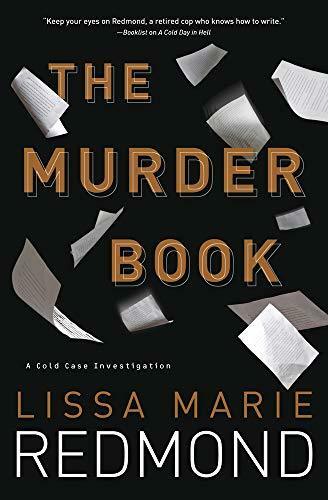 LISSA MARIE REDMOND is a recently retired cold case homicide detective of the Buffalo (New York) Police Department. She's also a member of Sisters in Crime. In an early trade review, Booklist says, "Recommend this one to anyone who loves courtroom dramas where lawyers tear into witnesses like pit bulls. And to anyone hot for a police procedural where tired cops make mistakes but slowly, relentlessly�and with morbid humor�get the job done. 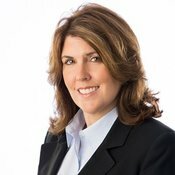 Redmond delivers both in one package. . . . The real attraction here is a keyhole view into a world that turns our expectations upside down�a world where a bullying, quasi-fascist cop can be the only one with a handle on reality. Keep your eyes on Redmond, a retired cop who knows how to write. It's Wine and Chocolate Days in San Benedetto, and paranormal museum owner Maddie Kosloski has sweet dreams about her new Magic of Chocolate exhibit. Her latest attraction is a haunted Mexican whisk called a molinillo that rattles if someone lies. 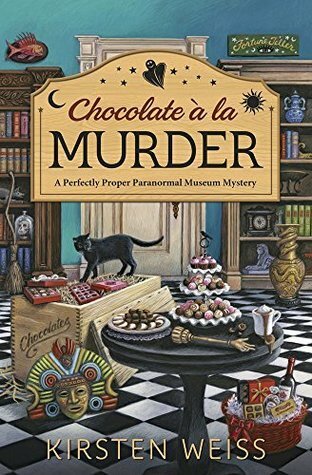 When Maddie visits the town's new boutique chocolate shop, she finds one of the owners dead and covered in melted cocoa. Maddie's determined to catch the killer, and she soon uncovers deadly dealings in the world of artisan chocolate. But the deception surrounding those dealings are enough to make the molinillo rattle all night. Will Maddie have to temper her passion for sleuthing before a killer makes her fate a bittersweet one? Kirsten Weiss grew up in San Mateo, California. After getting her MBA, she joined the Peace Corps, starting an international career that took her around the fringes of the defunct USSR and into the Afghan war zone. Her experiences abroad not only gave her glimpses into the darker side of human nature, but also sparked an interest in the effects of mysticism and mythology, and how both are woven into our daily lives. She writes paranormal mystery and suspense, blending her experiences and imagination to create vivid worlds of magic and mayhem. Kirsten has never met a dessert she didn't like, and her guilty pleasures are watching ghost Whisperer re-runs and drinking good wine.